At New Republic Architects we believe that creating a vibrant, sustainable future starts with collaboration. We are a member of the U.S. Green Building Council and the Green Building Certification Institute, as well as an ENERGY STAR® partner. Our internal LEED® Accreditation program connects professionals from various disciplines and offices to promote understanding of sustainable issues and encourage innovation in the field. Did you know that you can use geothermal energy for heating and cooling applications in your home? The thermal energy is derived from the earth’s internal heat. To harness this energy, you’ll need to install a geothermal heat pump system. With the pump, it’ll be possible to heat your home during winter and cool your home during summer. While installation costs are on the higher side, the energy you get is unlimited year round. Windbreaks can cut winter heating bills by up to thirty percent. House shading trees can cut your cooling bills by as much as fifty percent. A single shade tree equals the cooling power of fifteen air conditioners – and it runs for free! Shading your home’s roof can increase your air conditioner’s energy efficiency by more than ten percent. A shaded lawn can be up to 25 degrees cooler than sunny pavement. A tree-shaded yard can be up to 6 degrees cooler than a sunny yard. 3. Use an efficient HVAC system. Save energy and money by buying a high efficiency, Energy Star rated heating and cooling system for your home. This is important especially considering that about fifty percent of our energy costs go to heating and cooling. 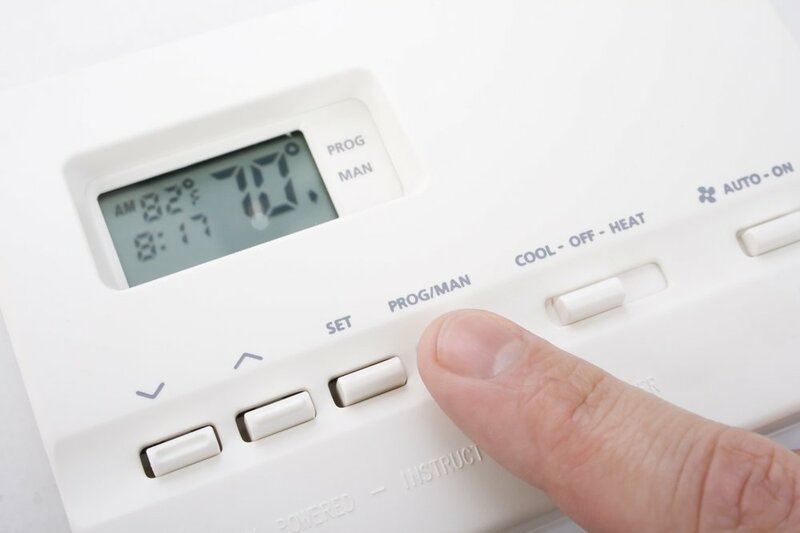 Aside from buying an energy efficient HVAC system, here are some tips to keep energy costs low. Inspect the air filters. They often get blocked by dirt and debris. Maintain the coils of your AC unit. Dirt and debris can reduce your AC’s efficiency, leading to more energy consumption. Install a programmable thermostat. If you can set your thermostat 1 degree down in the summer and 1 degree in the winter, you can save 3-5% of your energy bill. Use curtains, blinds or drapes to help control temperatures. In the summer, keep window coverings closed during the day to reduce temperatures. In cooler months, harness the sun’s free warmth by keeping curtains, drapes or blinds open on south-facing windows during the day to allow sunlight in. Beef up your insulation. Inadequate insulation can lead to wasted heat or cooled air from the HVAC system. Keep up with routine maintenance. Proactive maintenance is key to an efficient HVAC system. Experts recommend doing this at least twice a year. 4. Use water conserving fixtures. Installing water-conserving fixtures can make a sizeable difference in your monthly utility bills. In fact, according to the EPA, if all U.S. households installed water-efficient appliances and fixtures, the country would save more than eighteen billion dollars and three trillion gallons of water annually. An energy efficient faucet can save around 700 gallons of water every year. If you have an inefficient one, add a water-saving aerator or flow restrict or replace it with a high-efficiency faucet that has a flow rate of no more than 1.5 ppm. As for shower heads, replace them with a high-efficiency one that uses no more than 2 ppm. And, if you have a toilet that uses more than 1.6 gallons of water per flush, consider replacing it with an efficient one that uses no more than 1.28 gpf. Last but not least, install solar panels. Solar energy is a clean and renewable source of energy. Although installation costs can be high, the long-term savings you get are stunning. With solar panels, location is everything. Position, placement, and orientation can determine how much power you can collect. By using solar power, you can lower your energy efficiency and, if any, supply excess energy to your utility company. In addition, tax breaks, incentives, government grants are a huge bonus to anyone wishing to install solar panels in their home. A majority of people think two things whenever they think green home building: expenses and trouble. That’s, however, isn’t the case. Going green, in reality, can not only save you boatloads of cash in the long run but can also give you a chance to leave a better future for generations to come. This article was provided by Granite Foundation Repair, a local foundation repair company servicing the DFW area. Architecture has held an invaluable role in both modern and ancient societies. It’s the reason why sites such as the Parthenon in Greece or the Colosseum in Rome garner millions of visitors per year. Modern architecture has become a thing of beauty and unbridled originality. Just look at the Burj Khalifa, Taipei 101, or One World Trade Center. All of these buildings stand tall as symbols of architectural ingenuity and patriotism. Even smaller buildings such as universities, hospitals, shopping centers, and athletic centers hold important significance when it comes to their city’s status. Before any of these buildings could become a tangible reality, however, there was a two-dimensional blueprint. New Republic Architects provides construction design services to clients in Texas, New Mexico, and Arizona. All great things start their lives as small ideas. The Eiffel Tower, for instance, came to fruition when engineer Gustave Eiffel became inspired by the Latting Observatory in New York City. This glimmer of inspiration grew and grew until it eventually became the monument we know and love today. A small inspiration, or a passing thought, can lead to an end product that changes the course of human history for the better. But for now, let us focus on something on the smaller scale, perhaps on a private practice or a shopping center. Although these buildings may never hold a cultural importance similar to that of an ancient structure, they are intrinsic to a successful society. When a client comes to us with an idea or a need in mind, it is our goal to make the best use of their land by drafting a design that will suit their needs perfectly. We see our client’s land as a canvas upon which their dreams will come to fruition. Or fertile ground upon which their hopes will arisen. Although this specific metaphor may seem overused, it’s perfectly applicable in this situation. An architecture firm takes the ideas of the client and organizes them into a format that can be followed by a construction team. Every single detail will be accounted for, from the types of windows needed to the size of the building itself. This can be seen as the road map or as the seed that will blossom into something tangible. Once the construction is completed, you will have a building to call your very own. 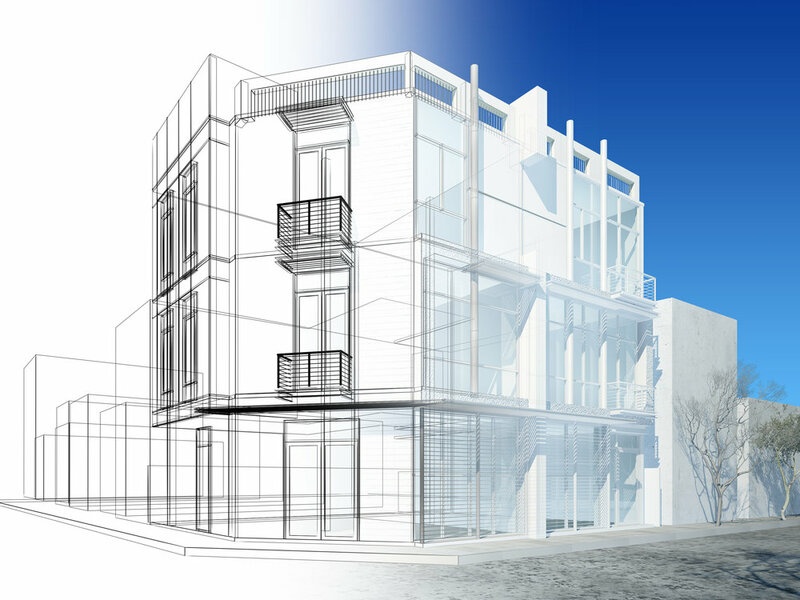 New Republic Architects will harness your dreams and draft them into a fruitful reality. Take a moment and look around you. No matter where you are, no matter what time it is, simply look around you. Take in your surroundings. What do you see? Perhaps a few cars, some people, the bright, blue sky, but what else? Odds are you can see a handful of commercial buildings, right? Even if you’re hiking the Franklin Mountains, you can still see the lights of El Paso’s commercial buildings in the distance. Commercial architecture is all around us. If you’re looking to establish your very own commercial space, New Republic Architects can help. Now that you’ve taken in your surroundings, try to categorize the commercial spaces you see. Some may be small, others may be incredibly large. Some may focus on selling products while others sell services. In order for companies to successfully provide their services, the buildings they’re housed within must suit their needs perfectly. For this reason, an industrial building may not be the best candidate for a small Mom and Pop type coffee shop (although rules are made to be broken, right?) The following are some of the most common commercial properties. Industrial buildings are homes for manufacturing or assembly needs. Although these buildings are part of the cycle of commerce, they are often very large, employ thousands of individuals, and are located on the outskirts of urban areas. Not all commercial spaces deal with the commerce of goods and services. Some basically sell the concept of “home.” Multifamily buildings are residential spaces that house families. Apartments and condos can fall under this category. Again, these types of buildings can come in a variety of sizes. Hotels don’t really have to be explained but they provide a place for individuals to basically live for a few days. Hotels can also come in all shapes and sizes. Commercial architecture is crucial in helping the community to thrive. These buildings add beauty, usefulness, and elegance wherever they’re built. At New Republic Architects, we’re more than happy to help the entrepreneurs and dreamers of El Paso and the Southwest achieve their commercial architecture dreams. Contact us today.